The former Go-Between turns the page in his career book with an intimate and highly likable little album. The day before he began recording Songs to Play, former Go-Betweens singer-songwriter Robert Forster told me that his forthcoming album was going to be "the start of the next stage." After the sudden death of his songwriting partner Grant McLennan in 2006, Forster had no choice but to draw the curtain on his beloved band the Go-Betweens, even when they were in the middle of a late-career renaissance. His last solo album, 2008's The Evangelist, held on to the last embers of said renaissance, even featuring one of the last songs he co-wrote with McLennan. Forster filled the time between The Evangelist and now by producing the John Steel Singers, writing for The Monthly, and helping compile the first Go-Betweens box set. So yes, Songs to Play represents the next chapter in Robert Forster's career. Don't worry, it still sounds very much like him. It's just different enough to give the impression that he's not totally repeating himself. It also retains just enough of his established musical personality to help Go-Between fans feel like they're meeting up with an old friend after a seven year absense. Songs to Play is an intimate little album. Even when there is a full band playing, they sound like a coffee house band that doesn't want to disturb you and your latte. When the songs are stripped down to acoustic guitar, piano, and voice (see "And I Knew") it's as if Forster is giving you a private serenade at your table. Captured on analog tape, these laid-back performances of Foster's subtler-than-subtle songs find their perfect sonic match on Songs to Play. That could have something to do with the slightly retooled band which includes, in addition to drummer Matt Piele and vocalist/violinist/spouse Karin Baumler, Scott Bromley and Luke McDonald from the John Steel Singers. It's such as easy album to get to know, even the five-minute "epics" (as the press release calls them) are approachable. It may not sound exactly like Forster's old cult/indie/critical-darling band, but there is a certain feeling linking the two. It's walking through the backyard/garden on a sunny day, having members of the Church from their Heyday-era appear from behind the trees with their guitars, cheerfully asking "hey mates, want to jam?" Songs to Play nudges open the door with "Learn to Burn", a wonky take on the 12-bar blues chord pattern goes from literal to ridiculous and back again in less than five minutes. One minute Forster asserts he has no patience: "I've got no desire to be the fourth person in line". The next, he's opening Christmas presents early and mistakes "Memphis for a house in Zurich". "So now you know", he summarizes towards the end in silly falsetto. After such an amusing start, Songs to Play walks a fine line between casting a backwards glance to the Go-Betweens days through old man glasses and some very still, poignant singer-songwriter moments. "Let Me Imagine" you is a very, very sticky example of the former. From the fragile interplay between electric guitar and acoustic guitars to the opening lyric "there was silence", everything feels like it magically fell into its most comfortable place. "I'm So Happy For You" is one other example of this all-breeze/no-irony songwriting that is Robert Forster's specialty. "It gets me so high / To see you walk by with a smile / And it is perfectly clear / We're both gonna be here for a while". And to keep things from getting too serious, someone throws in a descending chromatic scale played on what I'm guessing is a keyboard. "I Love Myself (And I Always Have)" probably wants to take itself even less seriously. I don't know how else to explain lyrics like "I hold myself in high regard" or the fact that the song wraps up in a double-time folk stomp as Forster dryly sneaks in the lone lyric "wild mountain sound." The "epics" mentioned earlier are the most dramatic moments that Songs to Play has to offer. "A Poet Walks" wraps up the album's first half and it's a slight nail-biter. Built upon staccato piano and guitars and drapped with a sad-sounding south-of-the-border trumpet, this impressionistic trip through a city street doesn't sound like it was written for some Dylan-esque troubador (foreshadowing: there's a spell he can't break). The other song in question, "Disaster in Motion", closes out the album in true slow-boiling fashion. The dynamics increase at a snail's pace over the course of six minutes with foreboding messages from town with the population of just eighty: "Once there was a scandal, then there was a flood / Golf balls found in the mud / Then one year it all went bad / Disaster in motion is what we had". It sure is a tense way to wrap up an otherwise bright album. But if it's not your cup of tea, you can skip back to "Turn on the Rain" or "Songwriters on the Run", two solitary songs that are perfect for the moments when you have nothing to do put sit in your living room and look at a vase of flowers. There's even a peppy little bossa nova tune, "Love Is Where It Is"; see if you can listen to it without at least tapping your foot. 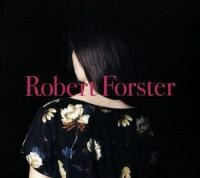 However you choose to divvy up the moods of the music, Songs to Play needs to be acknowledged as an album from a unique songwriter who just so happened to catch his sound so damn well that it makes a strong case for Forster's artistic life beyond the Go-Betweens. It's not as if we needed any reassurance on that fact, but it sure is nice having ten nifty new songs to take with us.